Welcome to the Clydesdale Cross Sport Horse Association – a group dedicated to celebrating the versatility of horses with part Clydesdale heritage. On the 10th December 2004 the inaugural meeting of the first society dedicated solely to the Clydesdale Cross took place. A committee was formed and on the 14th December 2004 the Clydesdale Cross Sport Horse Association was officially incorporated under Victorian legislation. Since that time, the CCSHA has gone from strength to strength and boasts a healthy membership base and a register of over a 1000 Clydesdale Crosses. As a true testament to the nature of these horses, our members span across every equine discipline and our horses range from hairy, large rumped beasts (not dissimilar to their Clydesdale predecessors) to refined, athletic and bold athletes, competing at the highest levels. We aim to provide a supportive and relaxed Association, where Clydie Cross owners can get out and have fun with their horses. We don’t aim to be a competitive group, where winning ribbons is our primary objective – instead we aim to provide opportunities for everyone to enjoy what they love, regardless of their level of expertise or how ‘fancy’ their horse is. To create and keep a database of all registered Clydie Cross sport and pleasure horses. The database will include colour, conformation and pedigrees, if available. To provide trophies, prizes and recognition to registered Clydie Cross sport and pleasure horses at events and shows chosen by the association committee for support. 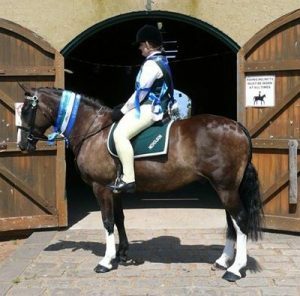 To provide an opportunity for all Clydie Cross sport and pleasure horse owners to register all horses which are believed to contain Clydesdale in their bloodlines. To establish and maintain a register of Clydesdale Cross Sport Horse breeders in Australia.